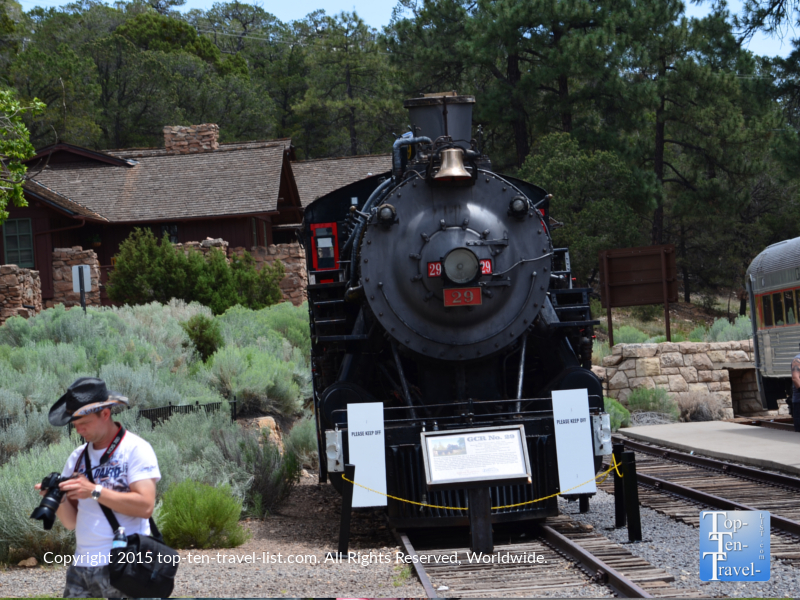 All Aboard The Grand Canyon Railway - Top Ten Travel Blog | Our experiences traveling throughout the US. The Grand Canyon Railway is a fun & stress-free mode of transportation to the magnificent South Rim of the Grand Canyon. 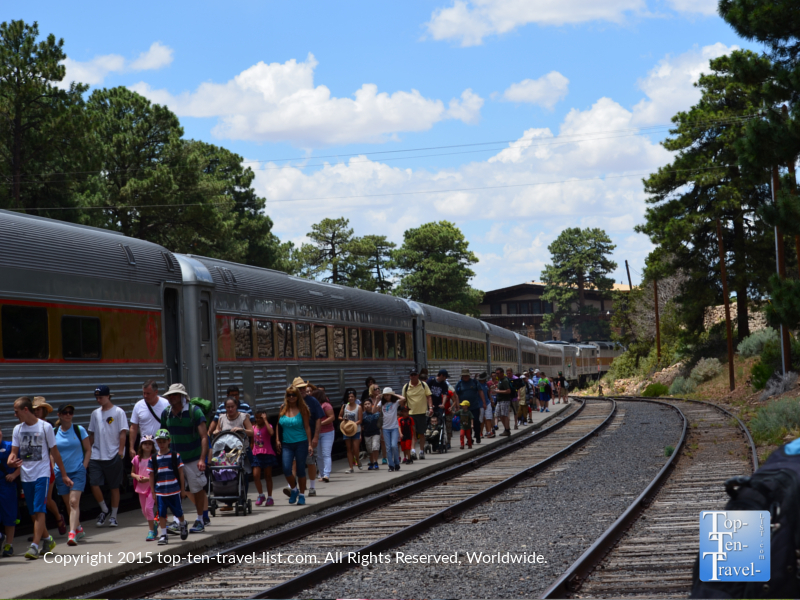 The train departs daily from the historic depot in Williams (built in 1908 by the Atchison, Topeka, & Santa Fe Railroad) and makes the 2 hour, 65 mile journey to the Grand Canyon Depot (built in 1909-1910) within the Grand Canyon National Park. Since 1901, millions have used the railway as their means of transportation to this must-see natural wonder. 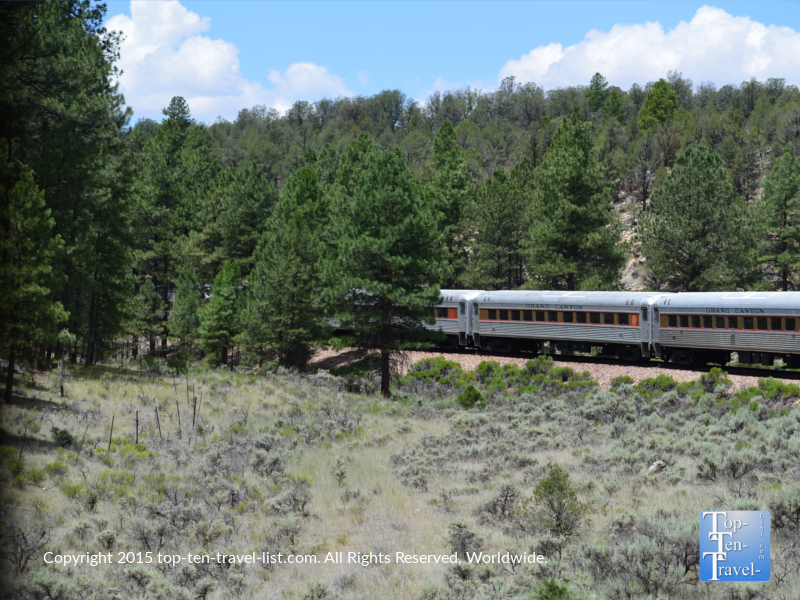 The Railway is a great option for anyone who is tired of driving, especially if you have just made a lengthy road trip out west to see the canyon. Why not let someone else do the driving so you can relax a bit? Aboard the train, you can kick back, order a few snacks & drinks, and enjoy the pretty landscapes of Arizona’s high desert. Before your journey, an entertaining 15 minute Wild West Shootout show will welcome you to the west. 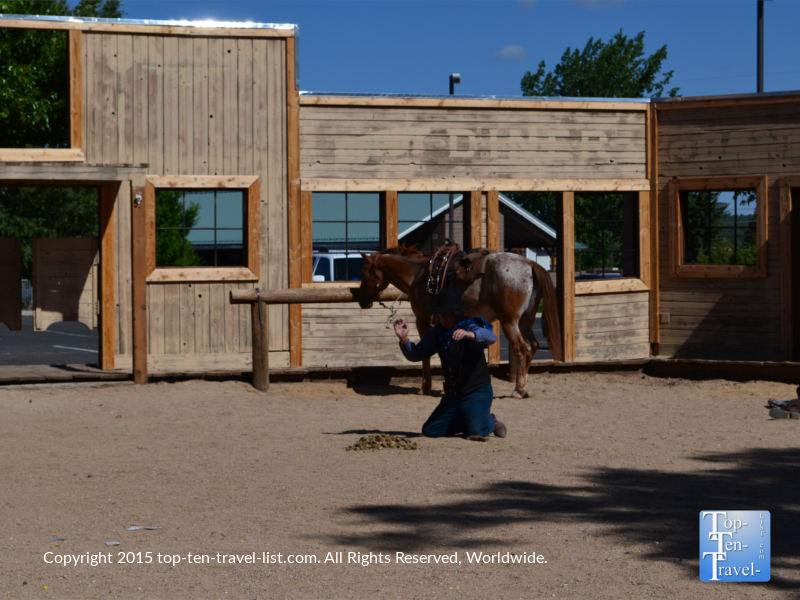 The cowboys also stage a train robbery near the end of your ride (a smart idea to get extra tips). I highly recommend arriving in time as it was the best part of the experience. If you have extra time, you can also browse the large gift shop for Grand Canyon souvenirs and pick up a cup of coffee. 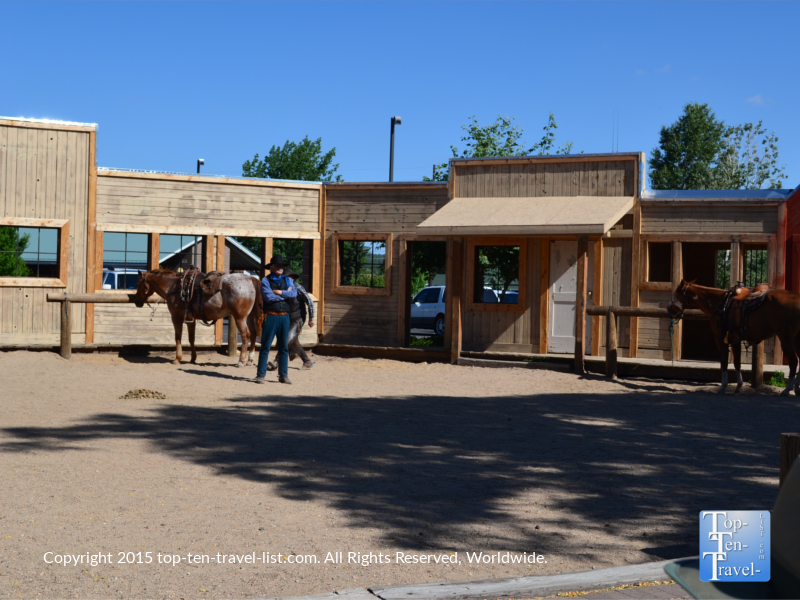 Along the route to the Grand Canyon, you will enjoy live country western entertainment and music. On the attached Cafe Car, you will be able to purchase drinks and snacks (coffee, beer, wine, chips, ice cream, and candy). Water is available for free (be sure to drink up as you are in a high altitude area). When booking your tickets, you will have the opportunity to choose between a variety of budget and luxury passenger cars. The most frugal option is the $65 pp Pullman car, which was built in 1923. Below I have given a brief overview of the various options available. Pullman Car – The most budget friendly option, the Pullman, is $65 per adult and $29 for children. The seating is a bit tight, although the ability to flip the seats and sit across from your family/friends is pretty cool. There is no air conditioning, although the breeze along the way is more than enough where you should feel pretty comfortable. Western entertainers will keep you entertained on the long journey. Light snacks and drinks can be purchased in the Cafe Car. Coach Car – The coach cars are $75 per adult and $45 per child and include everything the Pullman offers, in addition to air conditioning and handicap accessible features. First Class Car – The more luxurious First Class Cars are $150 per adult and $115 per child and feature oversized, reclining seats with more leg room, air conditioning, larger windows to take in the views along the way, complimentary fruit, coffee, juice & pastries in the morning, and complimentary snacks on the return route. Observation Dome Car – For those who want to get a really good look at the scenery along the way, the panoramic views available on the Observation Dome cars are the way to go. Rates are $179 per adult and $145 per child. Luxury features include air conditioning, panoramic dome style windows, comfortable padded chairs, lounge style seating, complimentary coffee, juice, and pastries in the morning, and snacks and white wine on the return journey. Luxury Dome Car – The luxury dome car features the same luxuries as the Observation Dome, with the added benefits of a full bar, entertainment center, and cozy furniture. Children under $15 are not permitted, so you can enjoy a more refined, quieter ride. Rates are $215 per adult. Luxury Parlor Class – The ultimate luxury experience is a ride aboard the Luxury Parlor car, which includes cozy seating and an open air rear platform for enjoying the views, in addition to amenities found on the observation dome car. Children under $15 are not permitted. Rates are $215 per adult. All cars have a bathroom on board and all have air conditioning with the exception of the Pullman car. 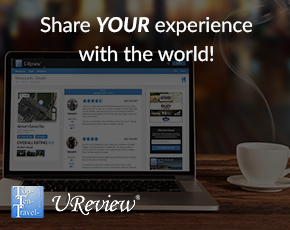 No matter which car you choose, you will be able to relax and take in the diverse scenery as you let someone else do the driving for once. 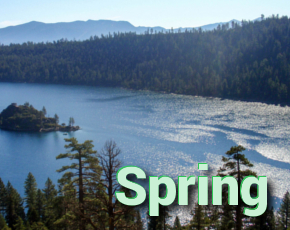 The scenery will change from high desert to prairie to pine along the way. The elevation changes along the way with a high at around 7000 feet in Williams and at the Grand Canyon. At high elevation, you will take in great views of ponderosa pine, spruce, aspen, and douglas fir. As the journey drops in elevation, you’ll take in relaxing views of sagebrush, live oak, salt brush, mountain ash, and pinyon-juniper woodlands. In addition, wildlife is plentiful with opportunities to see proghorn, mountain lion, mule deer, and more along the way.